Android is in trend and has somehow become a necessity in everyone’s life and managing the day to day tasks has become almost impossible without a smartphone. Even though Android is a very user-friendly platform, it sometimes does creates problems for you when you are trying to download apps or games on your device and shows error messages that you don’t want to see. That is why we have come up with solutions that will help you fix Google Play Store error codes and let you understand these errors better. Some of the most common errors are explained below along with the methods to solve these errors. The solutions provided below regarding the Google Play Stores errors are based on our experiences and errors that have been mentioned by our readers. For any error code that is not mentioned below, you can leave your messages in the comment box below and we will come back with appropriate solutions for you. Problem – this error means that downloading is not possible at the moment. This error generally occurs if you have formed two Google accounts on one device and attempt to buy android app from Google Play Store. Solution – the error can be fixed if you login to Google Play store with the authentic account and delete the other account and the error will be resolved automatically and you will now be able to download or purchase all the apps that you wish to use. Problem – this error occurs when you try to download or update applications but this error prevents you from doing so. This error is generated mostly when you use proxies to download or navigate on your device. Follow the same procedure for “Google Services Framework“, “Google Play Services“, “Google Apps“, “Google Talk” and flush the cache of the browser on your device. Your phone will start working properly again once you have restarted it. If you are still facing problems they you should check your internet connection. Delete the Proxy field available and click on Save. Problem – this error occurs when you are facing trouble downloading apps from Google Play Store. Solution – this can be easily resolved if you remove your old Gmail account and add a new one to your device. Cleaning the cache partition can also help in solving this issue. 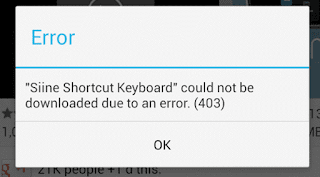 Problem – this error generally says ‘An error 498has occurred while communicating with the server, reload.’ This error gives you a hard time to automatically download apps from Google play store automatically. Solution – this error occurs when the cause is overflowing with data. It can be fixed by uninstalling all the unwanted apps and freeing some space on your device. For better errors, you can check xda-developers forum. Starting the smartphone in recovery mode will resolve this problem by pressing the volume down, power and home buttons in case you are using Samsung devices and pressing volume down and power buttons for all other devices. On pressing these buttons the option to wipe cache partition will appear and you can select it using the volume rocker and the error will be resolved. Problem – when no app can be downloaded from Google Play Store. Deleting the current Google account and adding the account again the logging in. Problem – this error stops you from downloading huge games and apps from Google play store. Solution – this can solved by clearing play store cache and uninstalling google play store updates. Problem – this occurs when you are not able to download applications that you want to. Solution – if you are downloading an app while the Google Play store is updating itself then this error will occur. To fix this uninstall the updated version of Google play store. This can be done by opening application settings, going to All then selecting Google Play Store and uninstalling updates. You can also wait for the update to finish up. Problem – means there is a problem with your google account. Solution – delete the google account that you are currently using and add another account to your device. Problem – this occurs when you are trying to install new application. Solution – flush the device cache. Go to Settings then Applications. Tap on Manage Apps option and click on App then select Clear Cache option. If the error is not resolved the factory data reset your device. 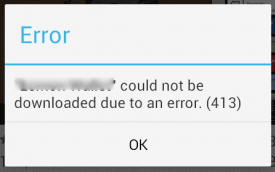 Problem – reflects when there is android apps cannot be downloaded. Solution – Clear Proxy is the solution to this problem. Open Settings then go to Wireless and Networks and select Mobile Network then APN. Then tap on the Clear Proxy Option and try to downloading the application again. For a better solution check Androidpit. Problem – this says that the app cannot be installed on your device while you are trying to install apps from Google Play Store. Solution – for a smooth solution to this problem, you can use clean master android app that will clean the cache and data. Open Settings, go to Accounts. From there tap on Google and select your Gmail account, and then tap the Menu and Remove account option. Restart your device and add the Google account again. Problem – the most basic error when there is no space on your device. Solution – make space on your device by uninstalling unwanted apps and unused data. Deleting thedumpstate/logcat can also help in fixing Google Play Services error. Problem – the apps that you download are not opening and hence this error occurs. Solution – this error occurs when you have no space on your device to operate on new apps. Deleting some useless data such as audio files, images, videos or unused apps can solve this issue. Apps2SD android app can also be used in this case to transfer apps to your SD card and your problem will be solved. Problem – this error blocks you from downloading anything from Google Play Store. Solution – from the settings navigate to the option recovery then select the wipe cache option. Go to advanced option the select Wipe dalvik cache then select Fix permission and tap on Reboot. So these were some of the most common Google Play Store errors and the solutions that will fix them. So get on with it and fix your smartphone issues easily.